Welcome to one of the most technologically advanced, fully computerized offices available, conveniently located in the DFW area. Our state-of-the-art office offers fast, complete, comprehensive, no eye-drop, digital retina exams as well as disease treatment and management. Lakeside Eye Care offers a full line of name brand eyewear and sunglasses. The onsite lab can make most prescriptions same day even bifocals and progressive lenses! Lakeside Eye Care has a American Board Certified Optician to ensure the accuracy of all spectacle prescriptions. Lakeside Eye Care was established in 2000 under the direction of Doctor Sebastian Mirabal, a Optometric Glaucoma Specialist. Doctor Mirabal is a Diplomate of the American Board of Optometry. Lakeside Eye Care accepts most vision and major medical insurance plans. Our office strives to provide fast, friendly service by using start-of-the-art equipment and a fully computerized, paperless office. 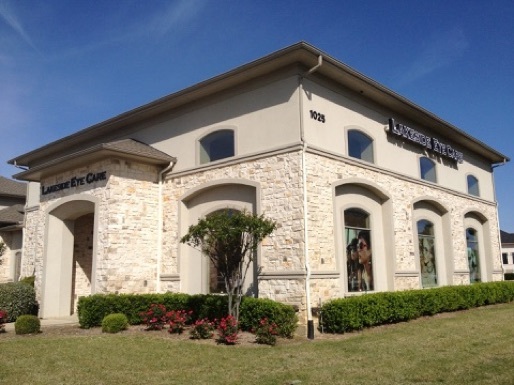 We hope you will consider the very best in advanced eye care! Call today to schedule your exam!